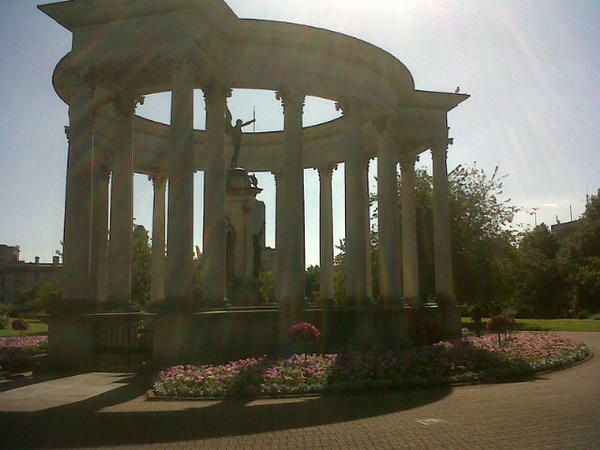 The sun shines on the Welsh National War Memorial in Cardiff. 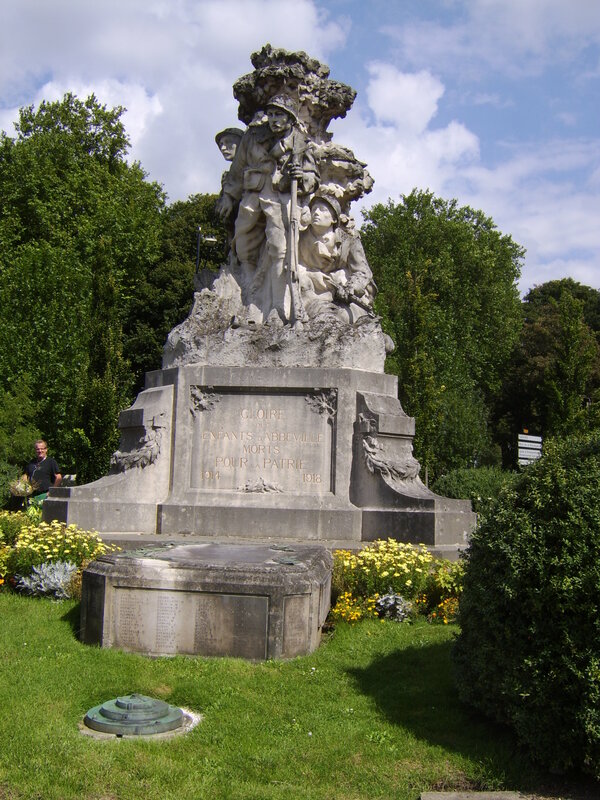 It commemorates the servicemen who died during the First World War. A plaque to those who died during the Second World War was added in 1949. The memorial takes the form of a circular colonnade surrounding a sunken court and was unveiled in June 1928 by the then Prince of Wales. It features inscriptions in Welsh and in English, and was designed by Sir Ninian Comper, the Scottish architect who mostly worked on designs for churches. At the centre of the court is a group of bronze sculptures by Alfred Bertram Pegram, arranged around a stone pylon. Around the base stand three figures, a soldier, sailor and airman, holding wreaths aloft. 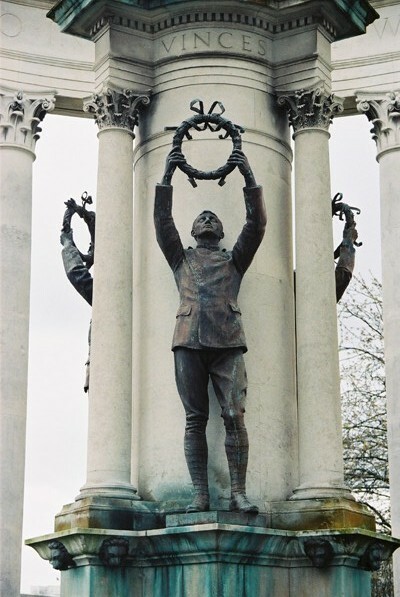 It is situated in Alexandra Gardens, Cathays Park, and is made from the same stone as the civic buildings which surround the gardens. 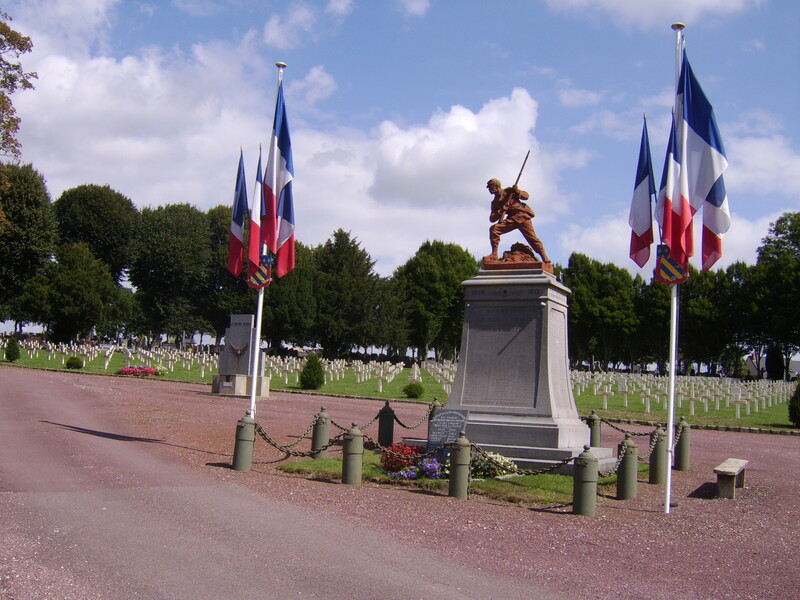 Abbeville was an important town for the Allied armies throughout much of the First World War. It housed the headquarters of the lines of communication and three army hospitals. 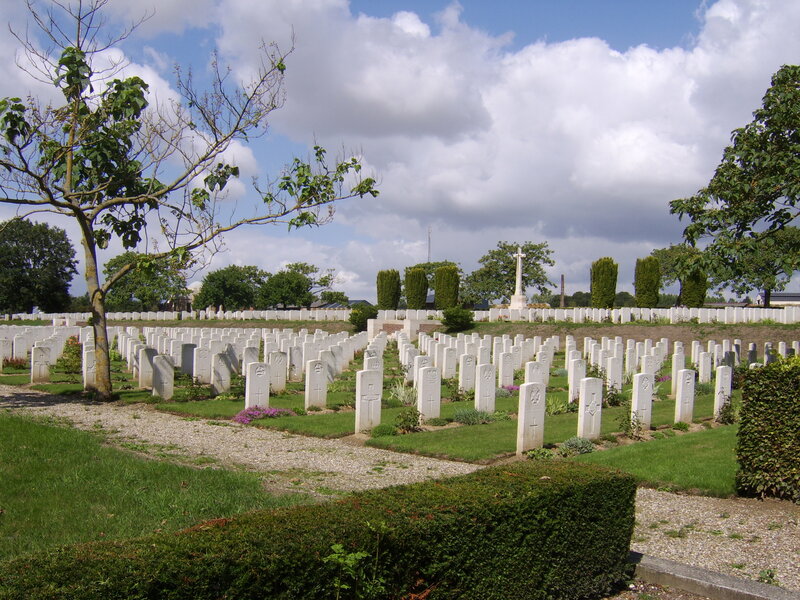 Its cemetery contains more than 2,500 World War 1 graves and several hundred from World War 2. The cemetery consists of the communal section and an extension which was begun in September 1916. I took these photographs during a visit there a few years ago. Here are a few of those buried there. 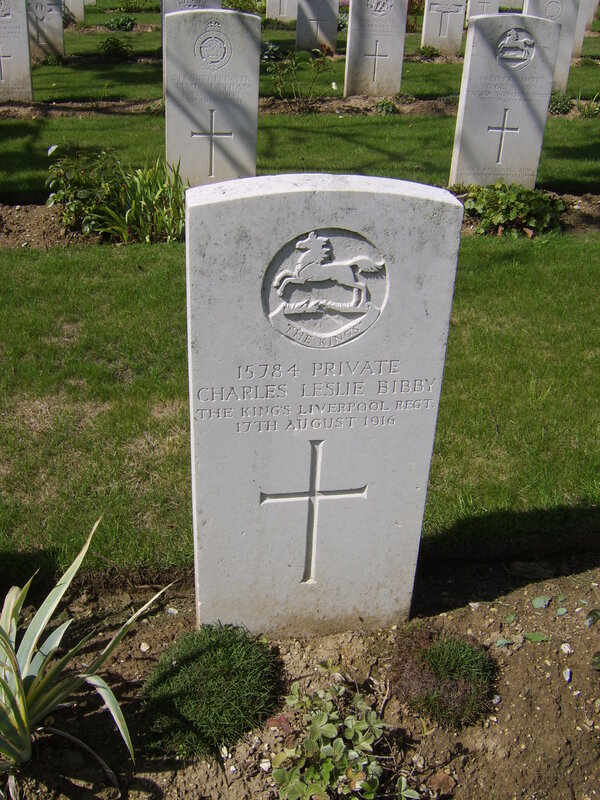 Private Charles Leslie Bibby, of the King’s Liverpool Regiment. 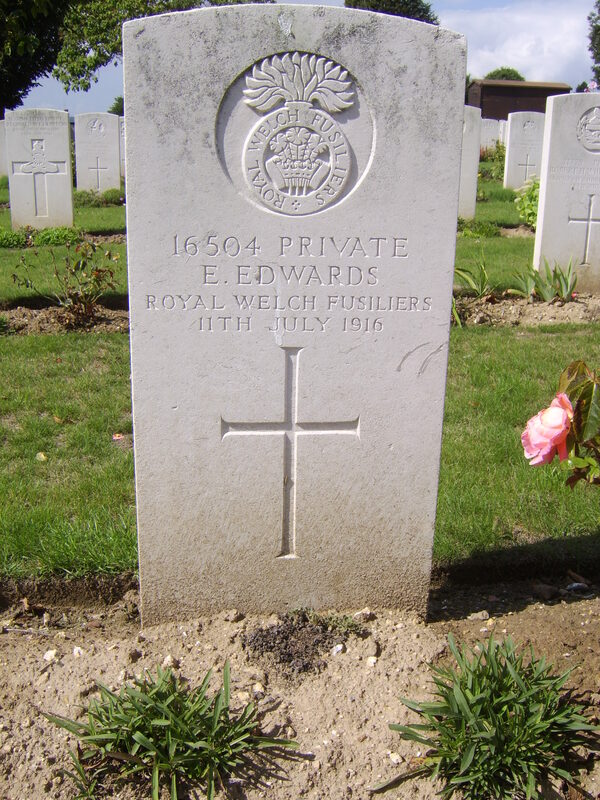 Private E Edwards, of the 9th Battalion, Royal Welsh Fusiliers. 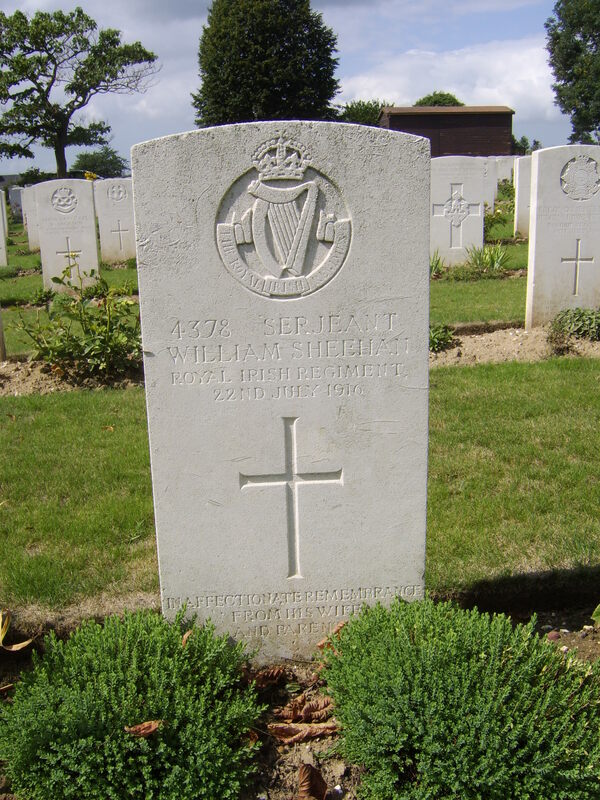 William Sheehan, of New Ross, County Wexford, who served in the Royal Irish Regiment. 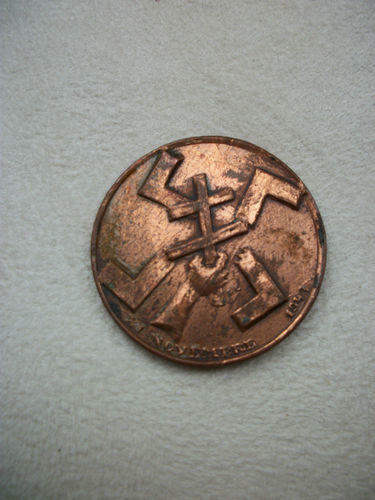 The town also played an important role in the Second World War. This memorial is in the town. 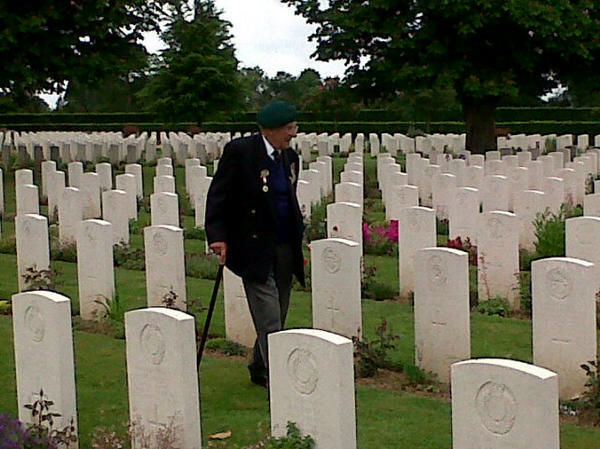 A year ago today I was fortunate to be in France with Ted Owens, a veteran of 41 Commando who landed on Sword Beach on D-Day. Ted, aged 88 and from Pembroke Dock, Wales, returned to the spot at which he had been wounded during the landings. Ted was badly injured on the beach within a few minutes of the landing and was sent back home. 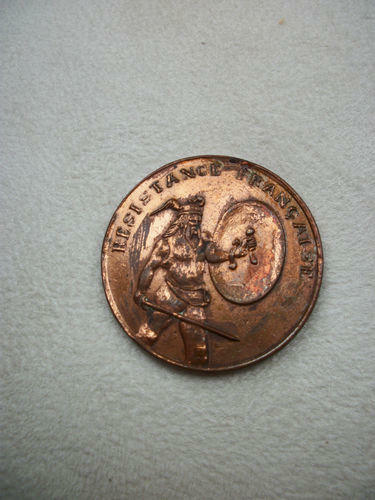 He returned to his unit in August and later fought in Belgium and the Netherlands. 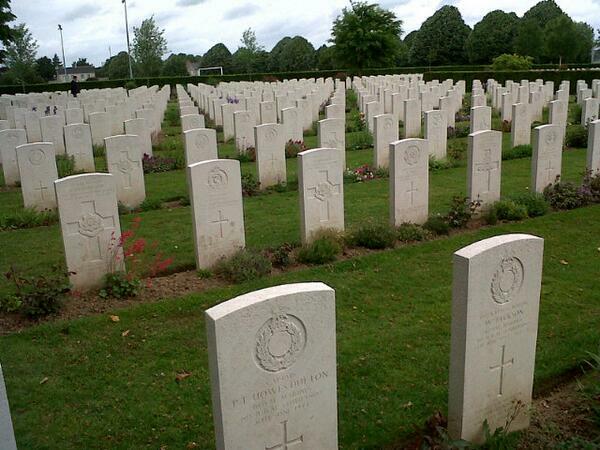 On June 6, we headed to Bayeux War Cemetery. Ted was keen to find the grave of a fallen comrade from 41 Commando. 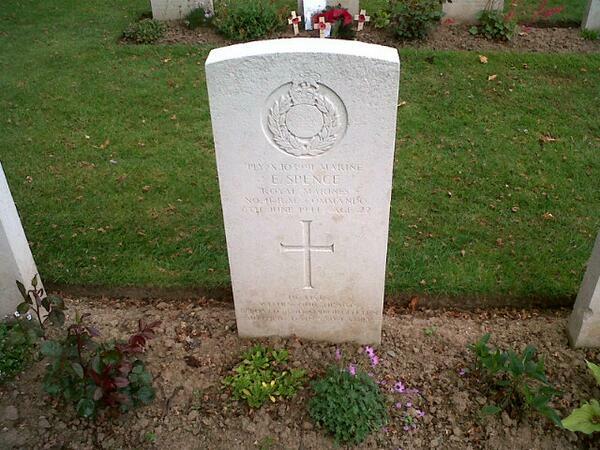 He found the grave of Marine Ernest Spence, from Royton, Lancashire, and laid a small wooden cross. 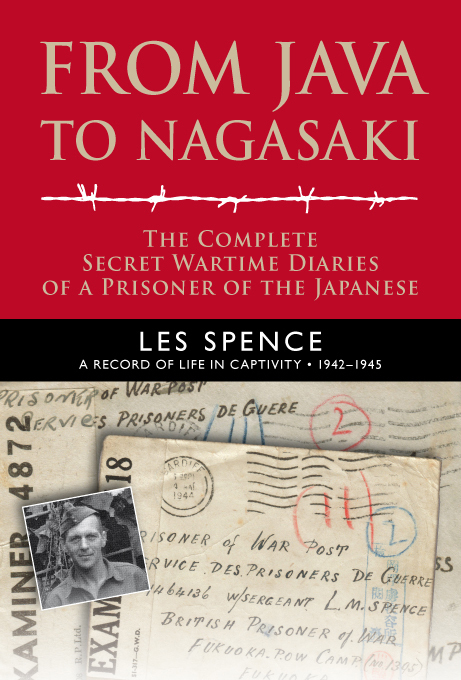 Ernest Spence, killed on D-Day. Ted’s trip was filmed for a television programme called ‘Welsh Heroes of World War 2: D-Day Commando’, which is available to watch online here. It was on that day that the Maquis paraded through the town of Oyonnax in what Matthew Cobb in his excellent book The Resistance describes as a “stunt”. The event was designed as a show of strength, a morale boost for the local population. The town was chosen because there was no German garrison nearby. More than 200 Maquisards took part. They marched, sang the Marseillaise and then disappeared back into the mountains.